There is an oft-updated Google document sitting out there in my drive that explains why, after four (!?) years I've stopped doing pre and post game write ups about the Columbus Crew SC. It's gone from a simple 250 words all the way to 2500 word then back down again. I've come to the realization that it may never go up - so, long story short; MLS leans way too far towards "just a night out." Not only for fans, but everybody involved... save for a few groups. That's great for some fans but a bear to write about, especially when trying to sort it out as a competition. Over the years I found, for me, that covering it daily is more akin to covering my neighbors commute to work. Sure, there can be something exciting happen a couple times a year but most of it will be a garage door not working or how the rain really slowed things down. I'm sure there a niche for that, like there is for MLS but Sports (competition) are meant to be the opposite of that, and honestly, I just don't see it much in most US sports these days. But I'll get to more on that though in a minute. Back to MLS for a second. A lot of this is cultural and I'm not pointing the finger at the casual groups here. It's not on them at all. It's up to the league and the USSF to fix it. Of the major sports (pro and college) MLS games are some of the lowest wattage affairs out there... hmm, how about another list. Major League Soccer Regular Season and Playoffs - Playoff system, unbalanced scheduling, lazy and meandering summer schedule, lack of promotion, relegation, low wages, etc. I'm not going to get into listing things like college volleyball, soccer or even rec and "elite" league stuff at teen levels but were I to, they might fall about dead even with MLS. Even some things, like the Frozen Four, surpassing it. NHL Regular Season - I'm separating out the regular season from the playoffs for obvious reasons. I would have even combined them on my lazy list here with the NBA were it not for the wacky point system they have now with overtimes and shootouts. I'm borderline dropping them lower than MLS regular season at this point. NBA Regular Season - Like the NHL only there isn't any getting wrapped around the axle with shootouts. I believe the NBA will be the first league to break free from scheduling and structural norms soon. I've got a post that's been bouncing around in my head for a while about that and hope to have it up soon. The NBA's lottery system is broken and everybody knows it. They play too many games, talent is spread too thin and the quality suffers badly. BAD. NBA Playoffs - With the cap structure, lottery, min and max contracts, 82 game regular season where teams travel all over the country... by the time the playoffs come it's more a battle of attrition. NHL Playoffs - I'll just put that here. Major League Baseball - MLB should be last because the sport is built around casual fandom. BASEBALL INVENTED IT. It's their thing. That said, they have an intense final couple months and sharp postseason that is built off the long, long regular season (which makes it meaningful). March Madness, NCAA Basketball - This is a great competition and fans love it. Real consequence, real energy. Fans respond. That said, regular season College Basketball is fading away, needs serious attention. College Gridiron Football - I'm not big into much of any of these sports these days and college football is my least favorite. It drives me up the wall. That said, they have a regional structure and intense, short regular season. Every game has meaning. That's changing a bit with their ever expanding bowl season and playoffs but for now, it ranks up here. National Football League - All the think pieces on violence or controversy in the sport don't seem to dent the 16 regular season games and a exclusive playoffs that leads to each week having meaning structure of the NFL. Again; fans respond to consequence. Does the overt violence propel the popularity of the league in the US? Yes, of course. But the backbone is the competitive structure. Now, why would I list this out like this? Well, the first one of these leagues (college or pro) to tighten up their league and make games more meaningful while still engaging US fans will easily jump towards the top of this list. The NBA for example. Tier the system. Top 20 is a nationwide league. Keep the cap, no player lottery (enter as free agents). The bottom division(s) are broken up into regions. MLB could fully split to East and West and promote in a team or two each year to spice it up. Hell, if nothing else to freshen it up. Get some of those AAA teams that are selling at 8 figures in the MLB. You'd also allow new up and coming cities (like Columbus) a chance at different pro sports. US is a ever changing landscape. Why lock in to some of these cities, especially with revenue shares and teams that are anchors for decades. Kick the tires and light the fires, USA, man! COME ON! I struck out national broadcasters (ESPN2, UDN, FS1 this year) up in the top list because I know it's hard for them to capture the intensity of a sporting event when there isn't any. I've also pulled those guys out because of all the words I've written here and at Massive Report along with and spoken over at this site's Red Cards in Helltown podcast, as well as my time on 30 odd episodes of the Massive Report podcast. There's just not enough in these games and the overarching league that's interesting (that includes Don Garber's desparate attempts crisscrossing the country to potential expansion cities). Is it possible this is a case of things just getting dull for me? I've thought a lot about that. Going through my thoughts on MLS over the past five years though, I gotta say, it's the structure of MLS's competition. It's dull. What keeps me watching, outside of loving the sport and the team is in my town, is the players. Their careers and their futures. Soccer is global and it's really cool to watch some guys bubble to the top, it's especially rewarding when you've followed them for years. Which brings me back to the national broadcasters. 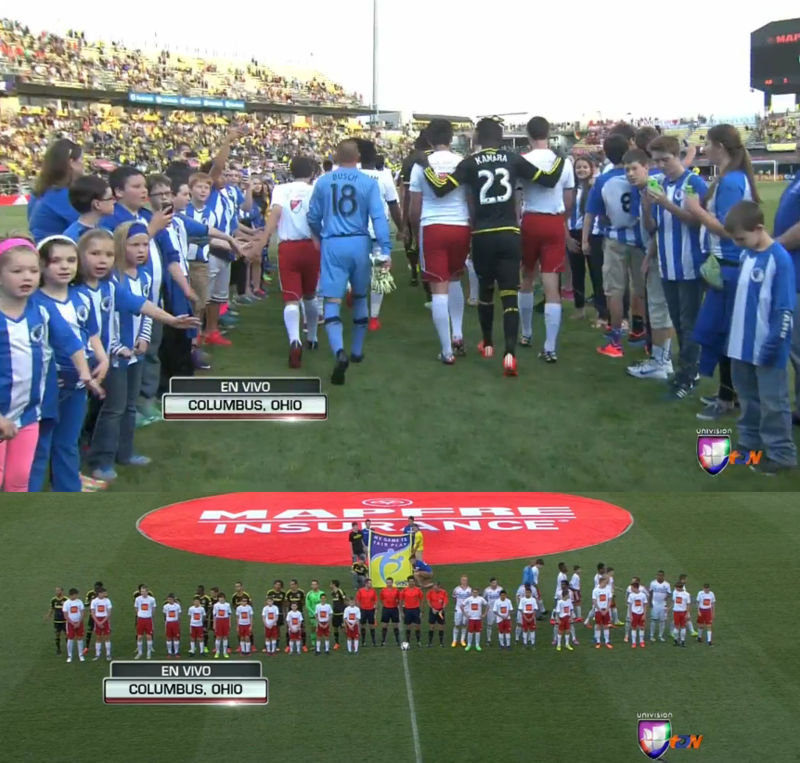 Last night was UDN's turn to travel to Columbus to cover the Crew SC v Chicago Fire matchup. UDN's Friday night coverage of this year's MLS games has gone well. The broadcast picture is clean and it's in both Spanish and English. Ramsés Sandoval handles the play-by-play and "goal heard round the world" former USMNT player Paul Caligiuri handles the color. They do alright. Sandoval comes off like a ring side boxing announcer or a coked up play-by-play MLB guy from the 80s but he's grown on me in the first 12 weeks. One of his quarks his losing his train of thought often. I'm not sure if it's a mostly wooden Caligiuri that causes it through their interchanges, language or what, but I've come to enjoy it. One thing I like about both of them is that they have a good understanding of how the match is going and are able to communicate it. Like; Columbus is controlling the match, passing well, or whatever ebb and flow it is taking and most importantly, they come across as enjoying what they are covering. 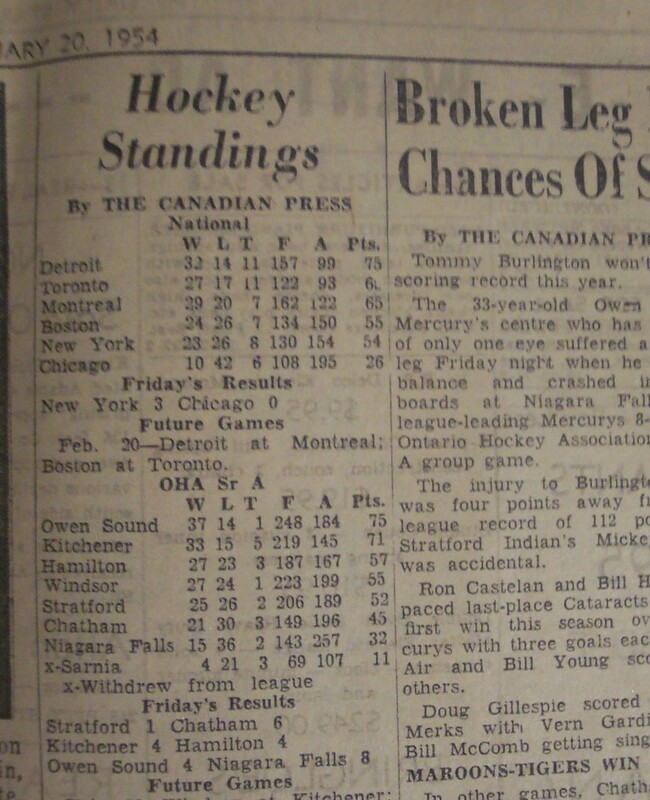 There's probably a ancient style guide for sports out there that demands US sports writers to list results as Win - Loss - Tie and it likely comes from Football (college football, more specifically) and Hockey (back in the 2 pts for a win, 1 for draw days). It probably indirectly also comes from the granddad of US sports; Baseball, were there was no such thing as ties, so the importance of it fell to third place in the other sports that had such a blasphemous result. The old NASL is also partly to blame because they had no draws and that philosophy carried into MLS in the early years. It's difficult to go farther back to find how records were written in the old ASL or USA leagues and this post is getting long, man. These days it's different though. Wikipedia, Opta, Stats Inc, almost all the betting sites, Sports Club Stats, and places like Soccerway, WhoScored.com, Squawka all use Win - Draw - Loss for Major League Soccer results. In fact, just about the only place you will find W-L-D is on the MLS site itself! So, in conclusion... not trying to pick on Adam Jardy or pester Steve Sirk about nomenclature. Just a pet peeve that I'll never let go. Anywho, old school Saturday morning blog post-ed out. It'd beautiful out. Everyone have a safe and fun Memorial Day weekend. We might not all agree on the hot button topics of the day but spare a few thoughts and maybe a quiet thank you to those that have paid the ultimate price so that we have that freedom work out all our disagreements.